See amazing natural and historical beauty on this epic 1,600 km adventure. This guide is based on your trip starting in Tokyo – Narita but you can also start in Osaka or Nagoya. 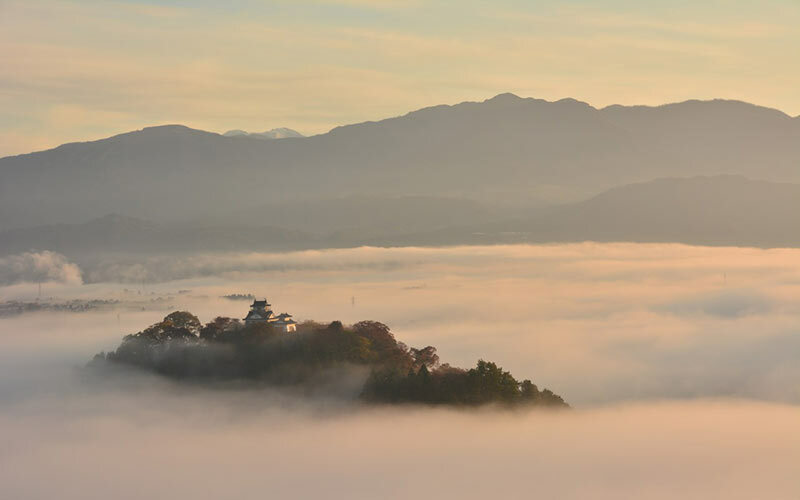 This 15 day circuit passes through Kyoto, Nikko, Nagano, Nara, Matsumoto, Mt Fuji, Shirakawa, Takayama and more places that you may never have heard of. During bad weather conditions and heavy snow some mountain pass road may be closed. 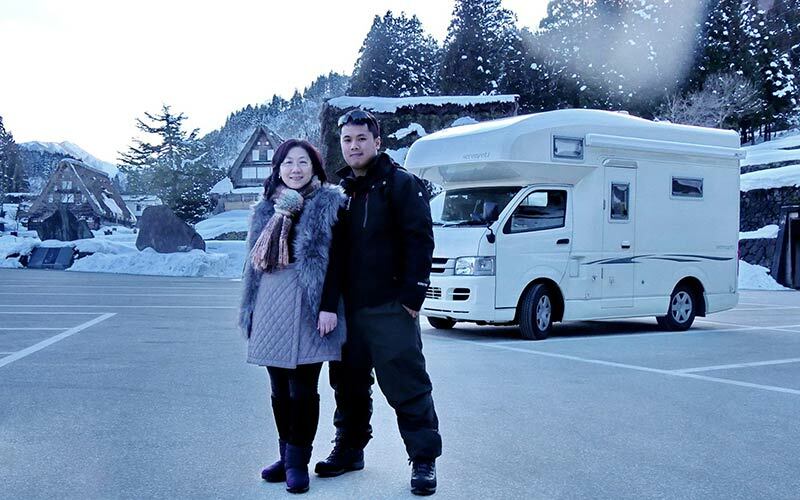 Campgrounds in mountain area are closed during winter. Plan your journey according to season and weather report. Narita Airport. Drive 3 hours north past Mt Tsukuba to Nikko. 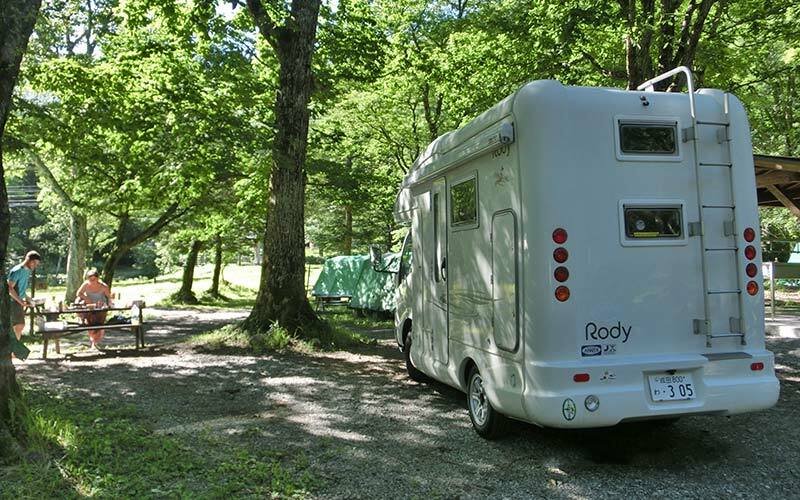 If you set off late from our office you can stay at campgrounds close by or in free roadside rest areas. Visit Nikko Tosho-gu Shinto shrine built in 1617. Listed as one of the National Treasures of Japan this has been a place of worship for ruling generals of Edo (Tokyo) since its construction. Surrounded by natural wonder Lake Chuzenjiko, Mt Nantai, Kegon and Ryuzu Waterfalls are all within 1 hour drive of the city. There are plenty of walking trails, boat and cable way rides to take it all in. Nikkou Guide . Edo Wonderland historical village is just 20 minute drive and a great place to see how people lived 400 hundred year ago in Japan. There are ninja show and other children entertainment. Mt Akagi caldera Lake Onuma is 1,350 meter above sea level and a great place for fishing and wild flower viewing in the summer or there is a nearby ski resort in the winter. Along the way to the top, stop at Fudo-Otaki Falls. Just 40 minute hike from Route 16. Head for Nagano prefecture. 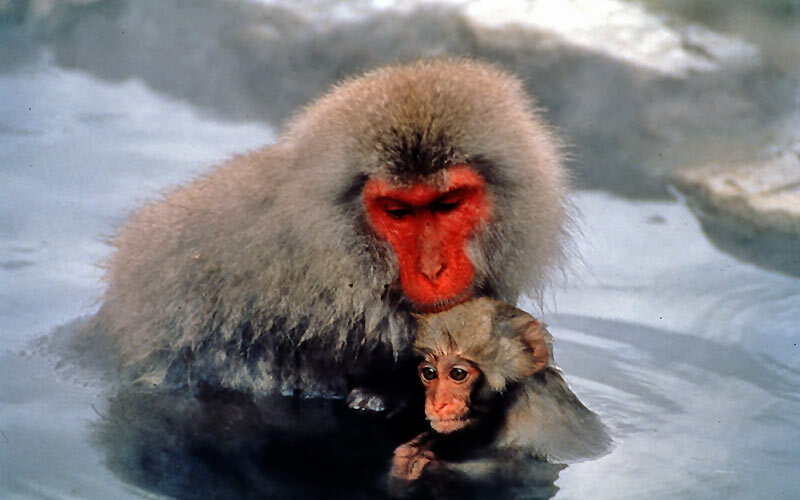 Take the Joshin-estu Expressway or in good weather mountain pass route to Jigokudani Monkey Onsen Park . It is about 3 hours drive. Hell Valley is an active volcanic area with steam vent and natural hot spring which Japanese Macaque use to keep warm in the winter. After a short walk along the river you can interact with these wild monkeys. Nearby Yudanaka Onsen town is a great place to soak in the hot water too. Joshin-etsu Kogen National Park covers a huge area of 3 prefectures and the Mikuni Mountain Range which has 2 active volcanoes. Mt Asama near Kairuizawa and Mt Shirane, further north. The road to Mt Shirane is only open in summer. There are alpine walking trails and cable way but check volcanic activity warnings first. During winter go to popular ski resort including Shiga Kogen about 30 minute drive from Yudanaka Onsen along Route 292. 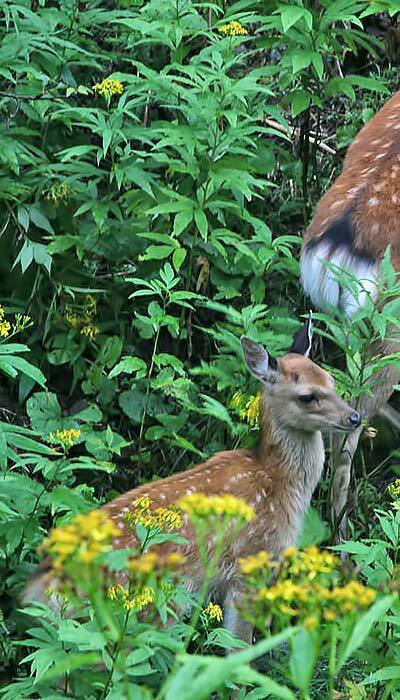 Summer also popular for wild flower viewing, hiking, mountain biking and relaxing in the many hot springs. Driving down the valley and around Nagano City, 2 hours along the Nagano Expressway is the one time political capital of Japan. Mastumoto Castle is the oldest existing built in 1504. Surrounded by parkland and historical buildings you might be lucky to arrive during the summer festival. 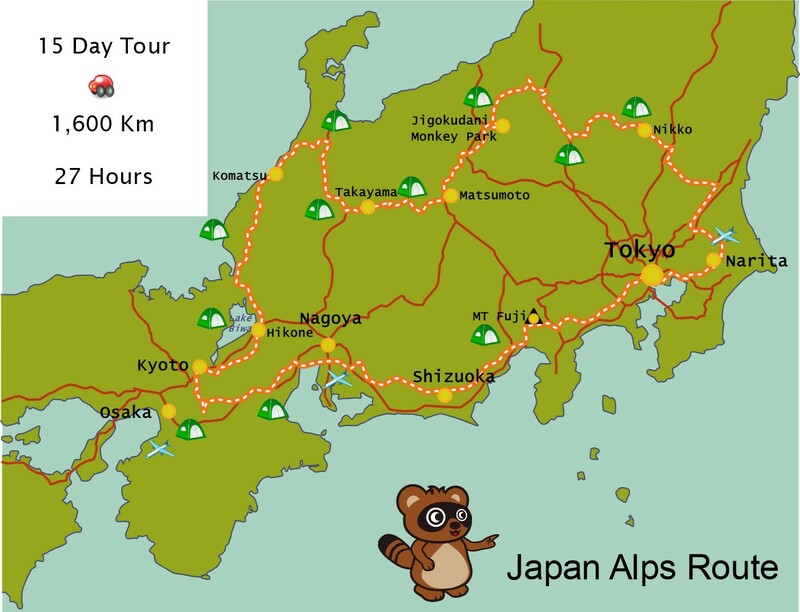 Then traverse west along Route 158 to Hirayu Onsen and Ski Resort . It takes about 1.5 hours to reach an elevation of 1,250 meters. Driving up the valley past lakes and through narrow tunnels this road is scenic and challenging and may be closed during severe weather conditions. (Alternative road is the Chuo Expressway to the south). 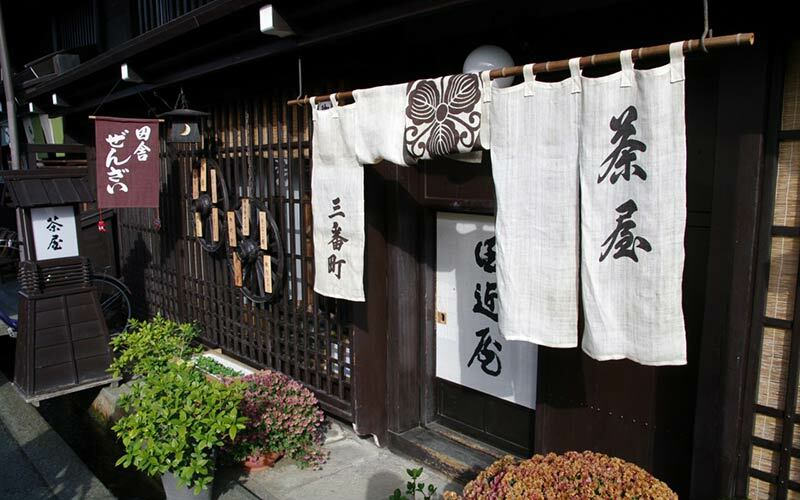 Hirayu onsen hot water is said to have ancient healing powers and there are many different to choose from. The most popular is Kami no Yu meaning gods water. 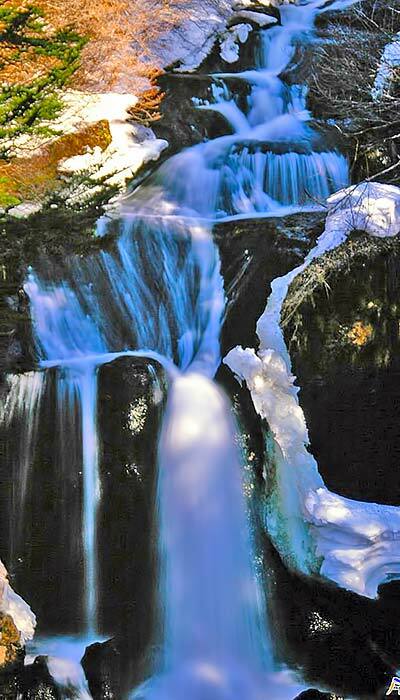 Nearby Norikura Kogen and mountain provide more hot spring and amazing natural wonder. Forest hiking trails go to Zengoro-no-taki Falls. Driving 1 hour west along Route 158 will bring you to Takayama, Gifu. The small city is known for its old world charm and buildings. Local art and farm produce is displayed and sold in summer markets on the Miya River. There are several museum dedicated to 100’s of years of art and craft and traditional thatch roof building construction. Join the bi-annual Takayama Festival . Less than 1 hour drive to the north west is Shirakawa-go . The world heritage listed village of 60 traditional “Gassho” wood and thatched roof houses that are unique in their construction of 3 to 4 levels and have kept occupants warm even in harsh winter weather for 100’s of years. 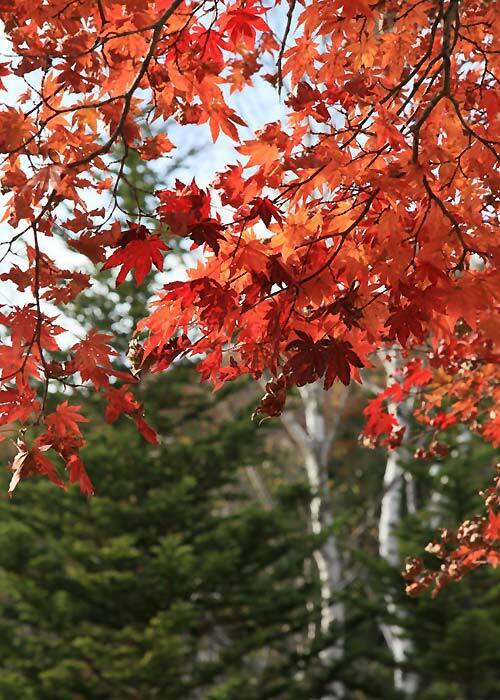 Visitors will be lucky to join in the Autumn village festival whilst viewing the changing forest colours. 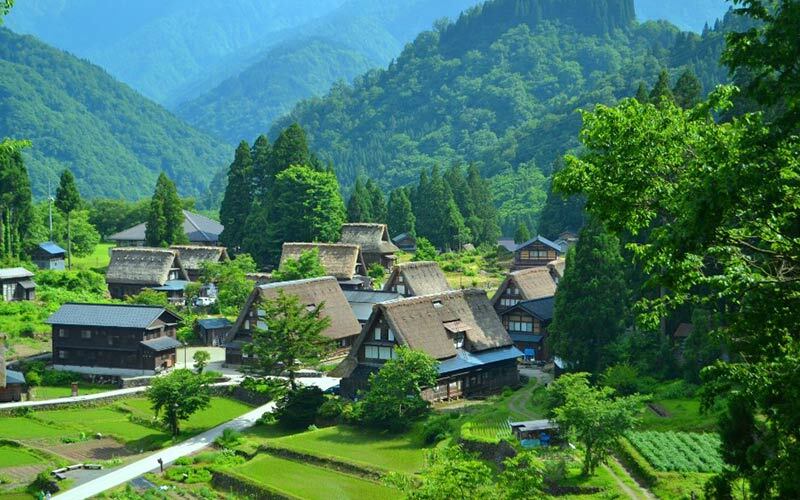 About 30 minutes north of Shirakawa is the village of Gokayama. Another “Gassho” house village surrounded by mountains and a few ski resort during the winter. From here you will get on the Tokai- Hokuriku Expressway north into Toyama prefecture and the coastline of the Sea of Japan. 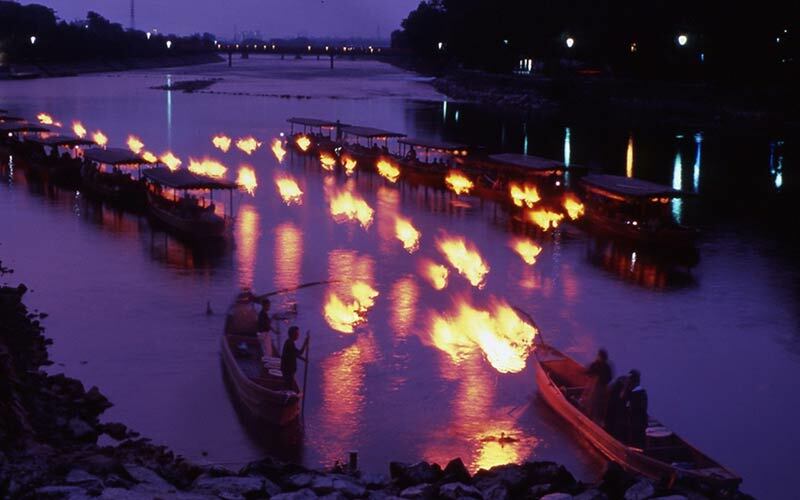 1 hour later you will pass by Takaoka City famous for its copperware, lacquer ware and historical poetry. Neighbouring Toyama City also has a long artesian and rich history and is former castle town with parklands along the Matsu-kawa River. Views of the famous 3,000 meter high Tateyama Mountain can be seen across the bay. Arriving in Himi on Naga-hama Beach and Toyama Bay. Enjoy fresh seafood from the many markets whilst taking in the vista of the mountains and ocean. Visit Himi City Seaside Botanical Garden for rare coastal flora or Junicho-gata Suigo-koen Park for traditional Japanese plants and animals. Drive west along Route 415 across the bottom of Noto Peninsular into Ishikawa prefecture. 30 minutes later you will arrive on Chirihama Beach . Known as the place in Japan it is possible to drive along the sand. Popular in summer for beach sports and seafood BBQ called “Hamayaki”. 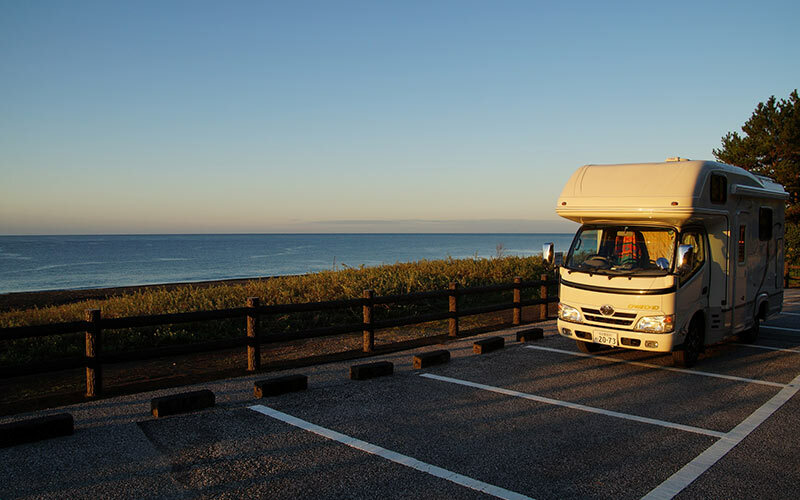 You will find travel along the beach quicker using the Noto Satoyama Kaido road that heads south towards Kanazawa city. The provincial capital is known for its traditional arts, dyed silk and pottery. The castle city has Kenroku-en and is one of the three most famous gardens in Japan starting in 1676. Tera-machi area has 70 temples gathered together. Continue south along the coast road for 1 hour to Kaga Onsen Kyo. An area of 4 hot springs that was discovered 1,300 years ago. In Yamashiro Hot Spring you will find historical hotel and bathhouses. Katayamazu Hot Spring is on the Shibayama-gata Lagoon which changes colour seven times a day and see views of the Haku-san Mountain Range. Continue driving into Fukui prefecture to the south for 40 minutes to camping areas. Just a few minutes drive from the campground is O-shima Island. Just outside the village this scenic island is accessible by foot bridge. Nearby along Route 7, Tojinbo rock formations have cliffs up to 55 meters high into the ocean. The rock formations are hexagonal and only occur a few places in the world. From here drive 100km along the rugged coast line Route 305 south though fishing cove villages and Cape Echizen. You can see Torikuso-iwa rock that rises out of the sea, Kochomon Cave and Echizen-misaki Lighthouse at the top of a 132 meter cliff has spectacular views. After 1 hour driving south along the coast you will pass by Tsuruga city on Tsuruga Bay. A historical and current transportation hub for shipping and land transport due to its strategic location on the Sea of Japan and close to Kyoto. 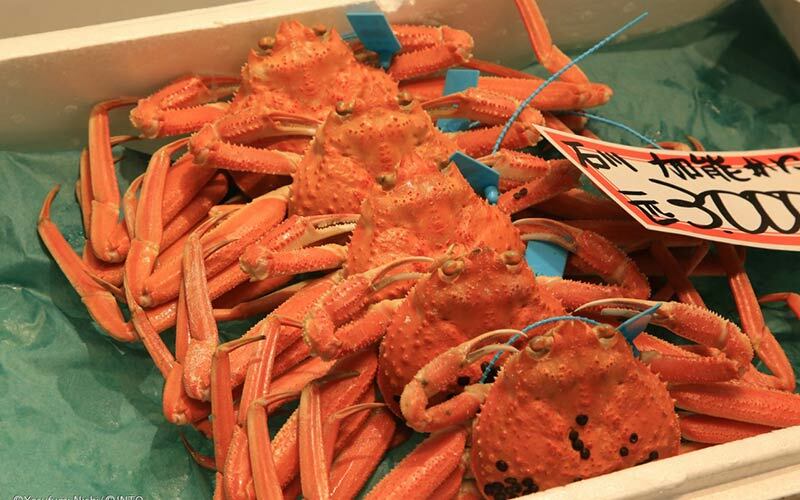 Check out historical buildings and seafood markets. Now its time to leave the coast and drive towards Lake Biwa and into Shiga prefecture. After driving for 30 minutes south through the mountains to the lake shore. Along the south east lake shore are many free camping area including roadside station with nearby hot spring bath house. Before leaving for Kyoto go for a stroll along the many path along the shore of Japan’s largest lake and see wide variety of water birds. If staying longer in warmer months there are boat rental and swimming is popular. 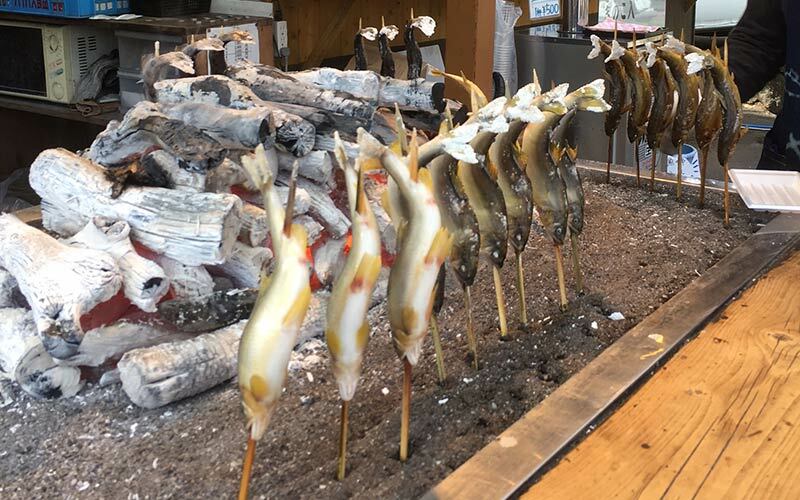 Fishing for Lake Biwa famous catfish is also possible. 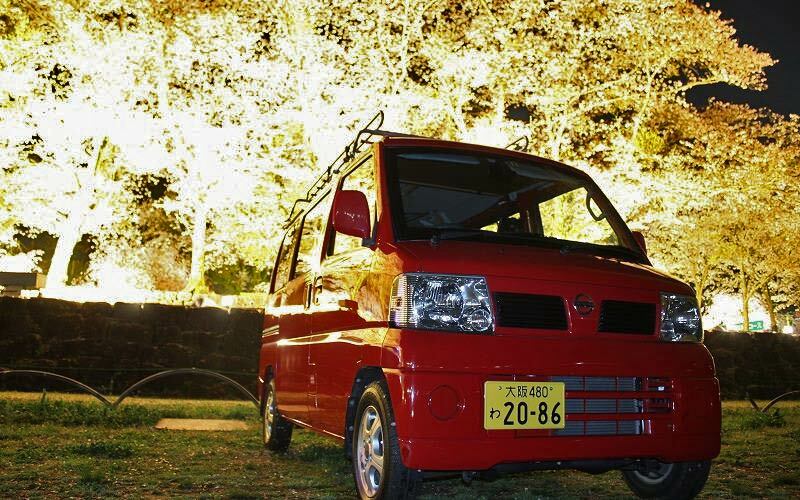 It is a 1.5 hour drive to Kyoto wether you choose the east or west lake shore route. The eastern route will have you passing by Hikone Castle . 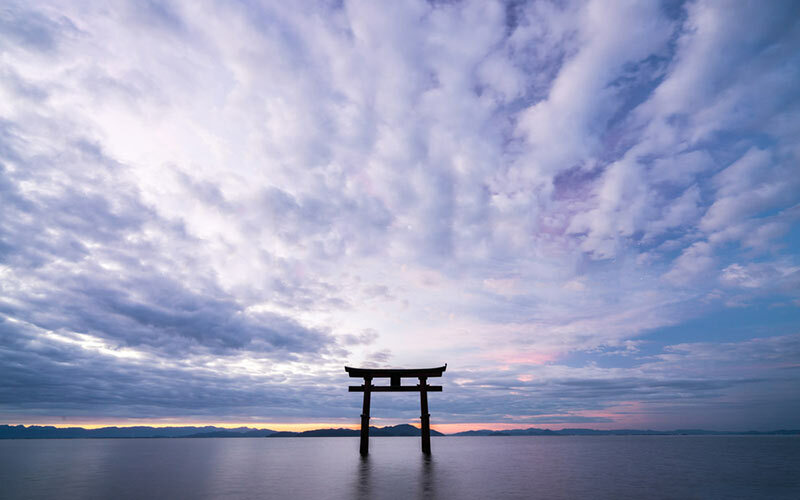 On the shore of Lake Biwa the city has been an important travel stop over for more than 400 years. Kyoto city has very narrow and crowded streets and there is no kerbside parking. Use the Times 24h Parking area below. It costs 200 JPY per hour or 800 JPY 24 hours and you can walk to Tobakaido Station in just 10 minutes. From this one train line you can easily access all of the major sites including Fushima-inari Shrine, Kiyomizu Dera, Gion and Kyoto Imperial Palace. There are so many places to see you can spend all day in the city. 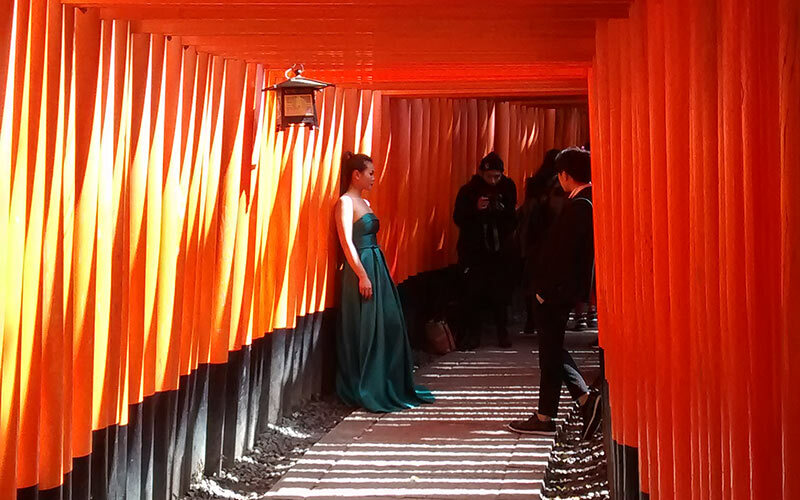 For more on Kyoto Visit This Link . 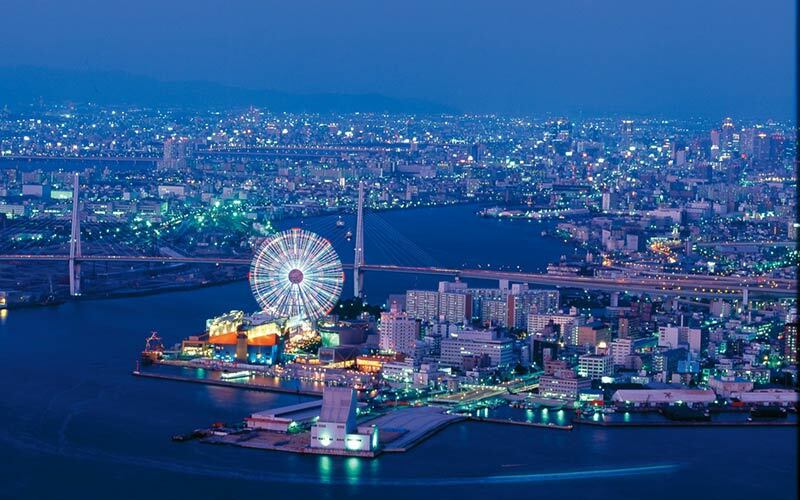 Osaka is Japan’s 3rd largest city. It takes about 1 hour from Kyoto. Parking in the city is limited to off street paid parking lots and streets are busy and narrow. If you want to explore the area’s such Dotonbori, Nanba, Osaka-jo or Umeda then go to easy to access parking area right next to Universal Studios Japan theme park. 24 hours cost is 700-1000 JPY. From just across the road of the car park is Sakurajima Station. It takes 30 minutes by train to Dotonbori for famous Osaka foods Takoyaki ( Grilled octopus dumplings ) or Okinomiyaki ( Savory pancakes ) a favourite that the locals love. Don’t miss seeing Osaka Castle. An impressive structure built in 1583 AD. From the top there are views of most of the city which was handy for the warlords of that era. For the those who love shopping and entertainment stop by Umeda next to Osaka station before heading back to the camper. For more on Osaka visit this link . You can stay overnight in Sakurajima station pay parking lot or within 10 minutes drive is a small seaside campground ( reservations recommended in summer ) and in the same area there is a hot spring bath house. Tel: 064-804-8880 (Business number for GPS Navigation). After a one hour drive is the small city of Iga , famous for it’s Ninja heritage. In late 1500 AD the Iga and Koga district was a republic and was at war with the Shogun ( General ). The Ninja were masters of Ninjitsu, a type of gorilla warfare at the time. Later they become the special forces of the Shogunate in Edo (Old Tokyo). 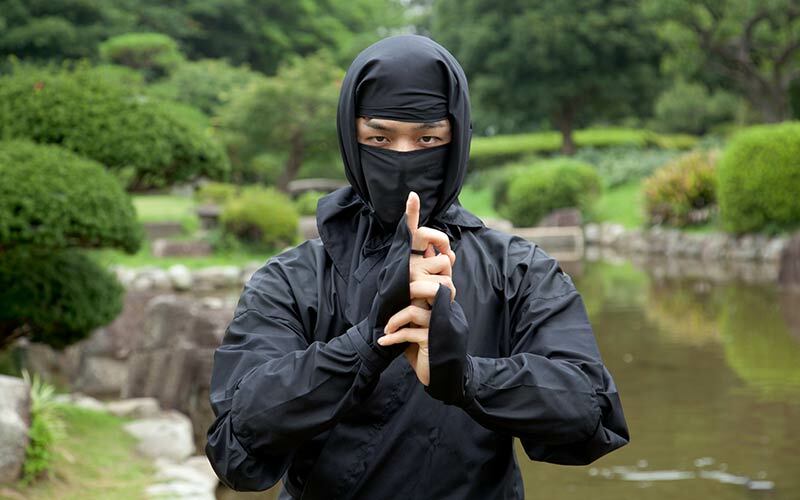 See real Ninja artefacts and way of life. There are Ninja shows and you can even become a Ninja for a day. Get back onto the highway and head toward Nagoya and beyond to Shizuoka and the western side of Mt Fuji. This is about a 4 hour drive on the Higashi Meihan and Tomei Expressway. Leave the Tomei Expressway and onto Route 139 which circle Mt Fuji on the western side. About 20 minutes drive from Fujinomiya city is the sacred Shiraito no Taki Waterfalls and just 5 minute walk another impressive waterfall is Otodome no Taki. A few more kilometres away is Tanuki Lake with great views of Mt Fuji and free parking areas along the shoreline. 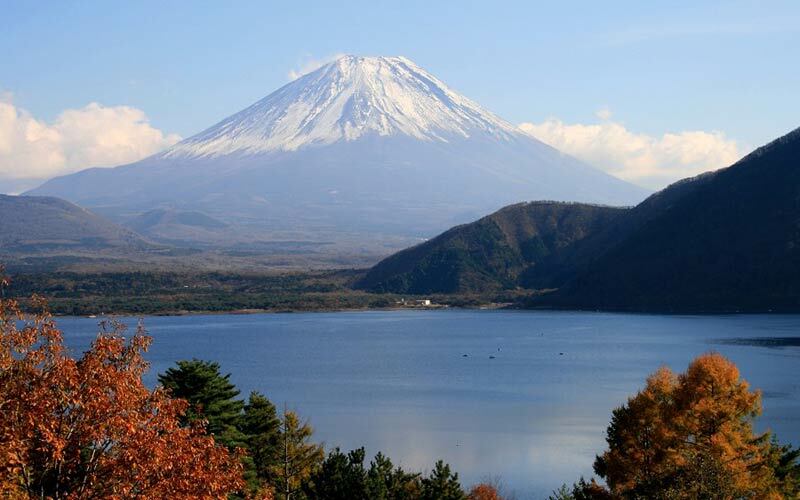 It is possible to continue around Mt Fuji through Yamanashi prefecture and the famous Fuji 5 Lakes area. Stop by the shores of Lake Mototsu-ko, Sai-ko and Kawakuchi-ko. All providing amazing views of Mt Fuji. The most famous view is at Lake Mototsu and is the same as seen on a 1000 Yen note. 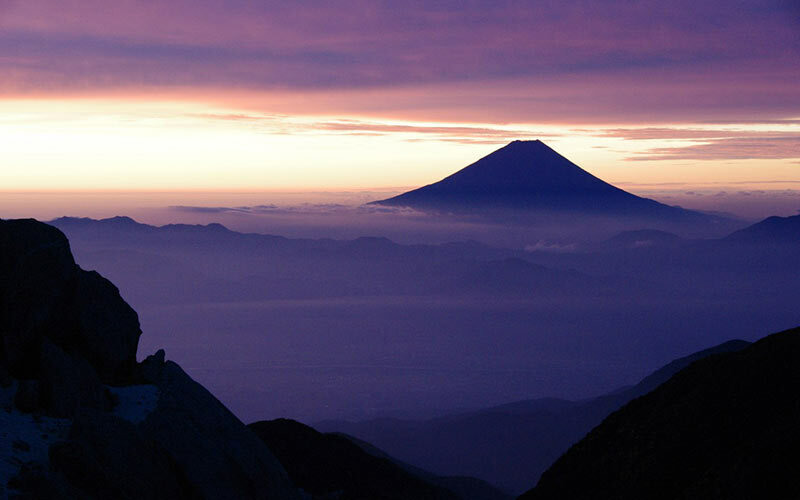 Depending on the time of year it possible to drive up the Mount Fuji Subaru Line to the 5th Station (Closed to private vehicles during peak climbing season and heavy snow). The 5th Station is 2,300 Meters high and the starting point to climbing to the peak. Mt Fuji Panorama Line, Route 138 will complete the circuit of Mt Fuji and back on the Tomei Expressway. It is about 1.5 hour of scenic driving. There are numerous campground and free or paid parking area along this route. 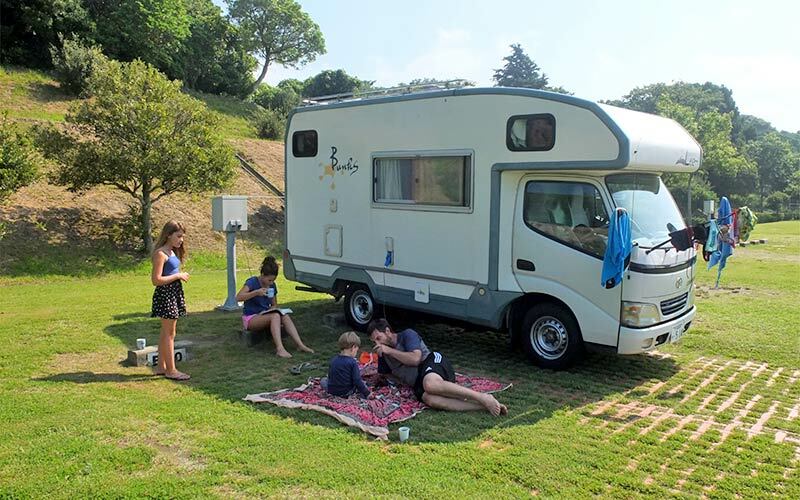 During summer it can be busy with sightseers and camping area must be booked in advance. 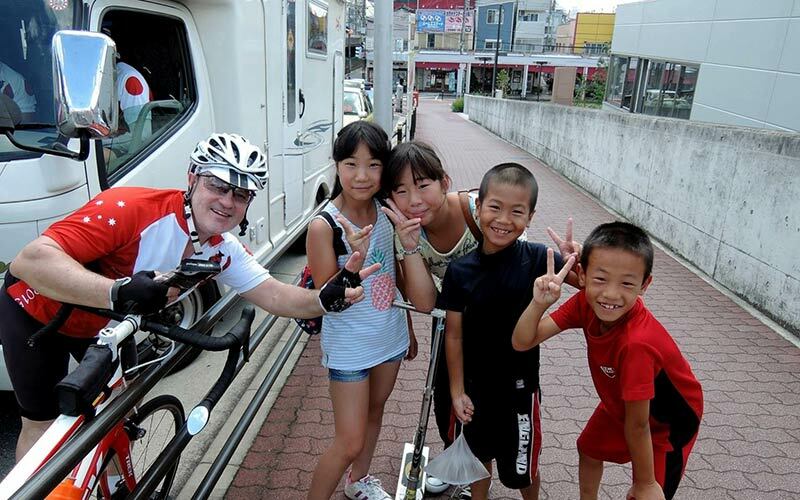 Finish exploring the Mt Fuji area and head back on the motorway towards Tokyo. If you leave early you can stop by places such as Tokyo Tower or Odaiba and take in the city sights before going back our office in Narita. It is about a 3 hour drive from Mt Fuji. Tell your friends and family about your awesome adventure!